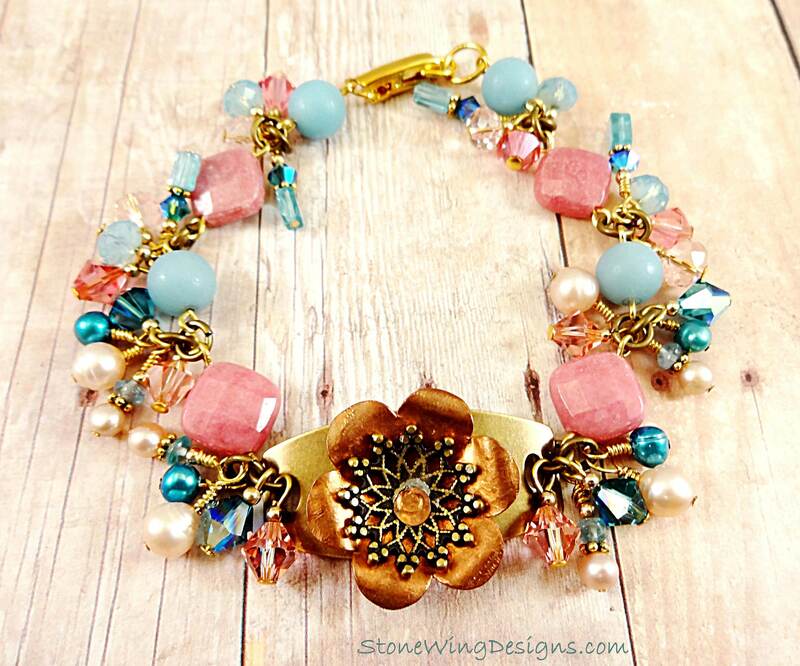 This bracelet has a little bit of everything: gemstones, pearls, crystals and mixed metal. The focal is copper flower that I dapped so the edges of the flowers curl up and over. 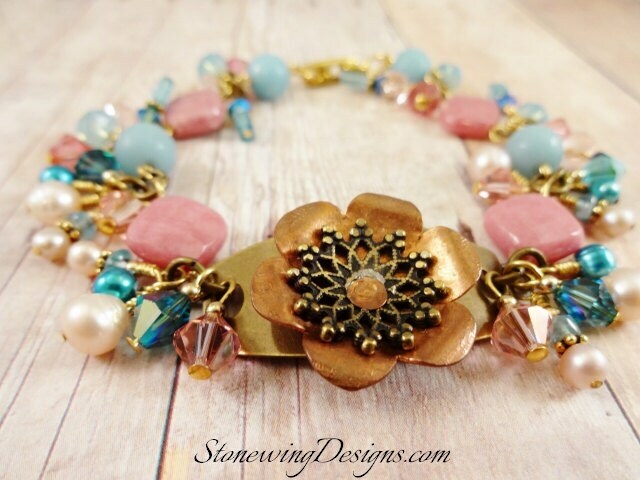 Then I riveted the flower with an antique gold filigree center to an antique brass bracelet base that I bent to follow the curve of your wrist. The riveted metal makes a nice contrast with the pink, aqua and teal gemstones and pearls. 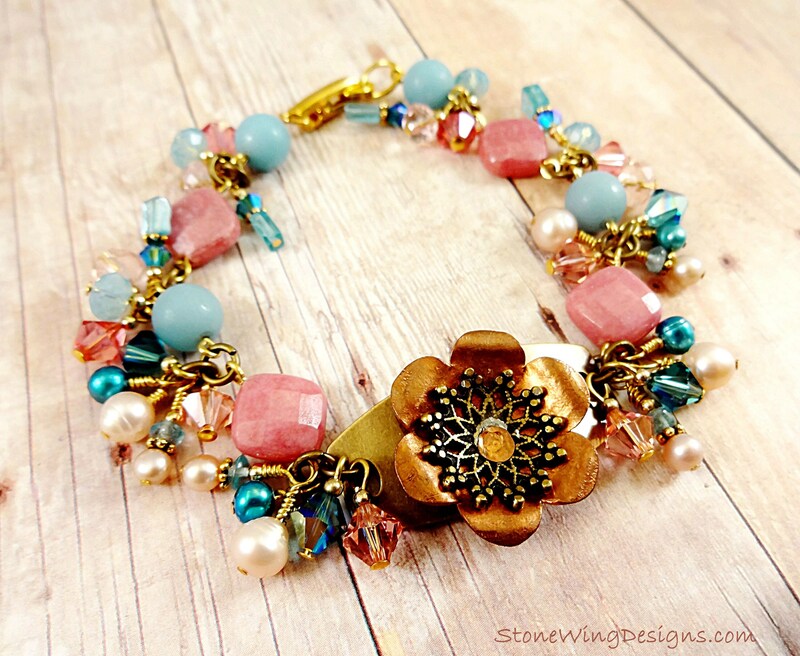 Add a little Swarovski for sparkle and you can't go wrong. The sides of the bracelet are made up of bead links that alternate between Rhodonite faceted squares drilled corner to corner, and 8mm round Amazonite beads linked together with antique brass jump rings. 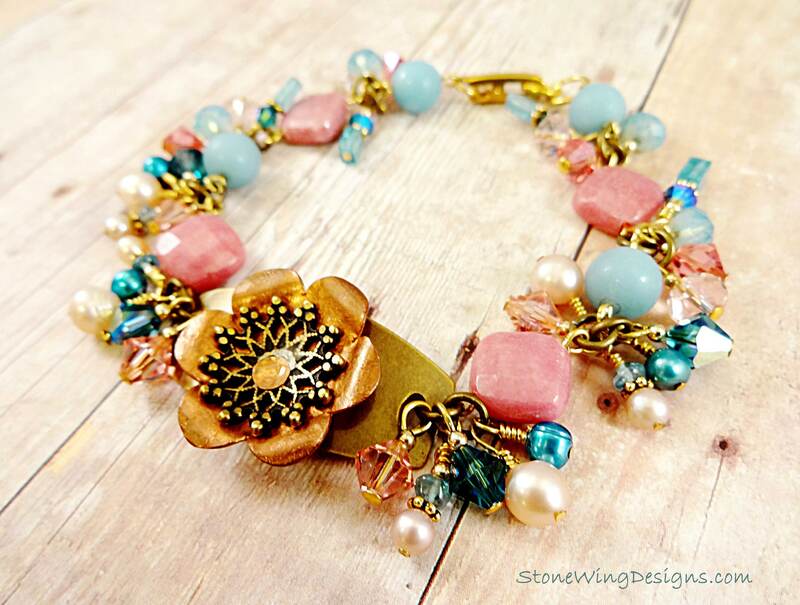 Attached to each jump ring are a variety of lush dangles made with Swarovski crystals in rose, light rose, Pacific Opal and Indicolite; freshwater pearls in shades of frosty pink and teal; Apatite rectangles and rondelles. Sized to fit a 6-3/4 to 7-inch wrist. You'll want to wear it a little on the snug size; just message me if you need a larger size.